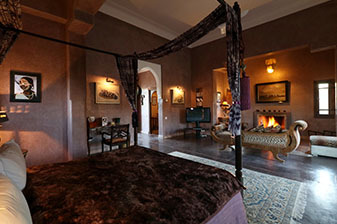 In the middle of a splendid Andalusian garden, this villa of charm opens up on the fantastic spectacle of the snow-covered peaks of the Atlas Mountains. 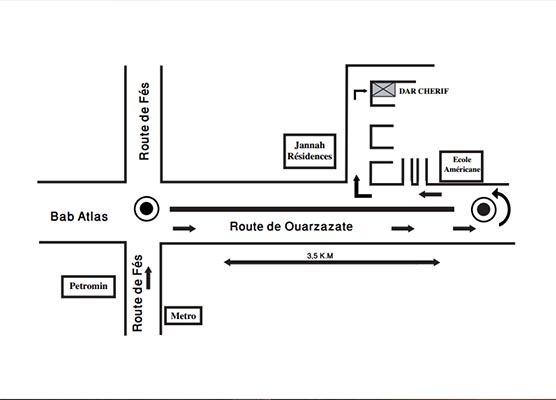 Inside, the traditional decorative arts of zellige, tadelakt and bejmat are celebrated with dignity. 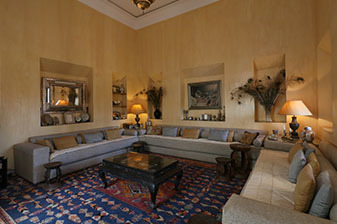 Spacious suite with living room and big individual terrace. View on the garden and the Atlas Mountains. 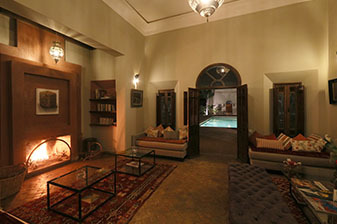 Theme Marrakech. 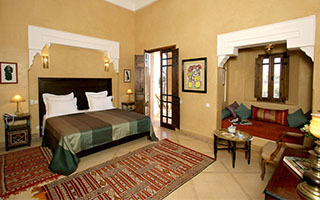 Junior suite with living room and individual terrace. View on the garden and the Atlas Mountains. Yellow tadelakt, theme Sahara. 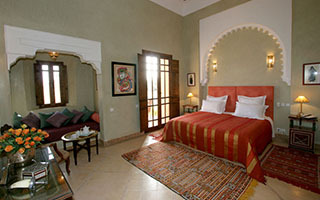 Junior suite with living room and individual terrace. View on the garden and the Atlas Mountains. Green tadelakt, theme berbere. 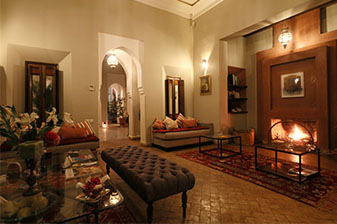 Dar Cherif is an absolute magical villa to stay in. We have rented the whole property for a birthday weekend. 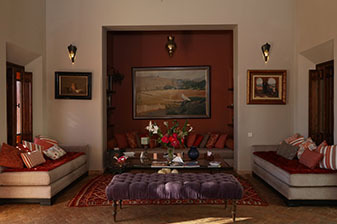 The villa is more than charming, with fantastic design and beautiful furniture, making every room special. Beautiful garden & pool as well. 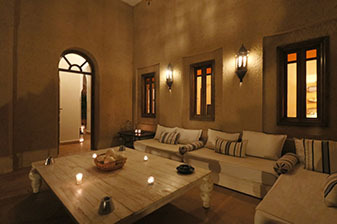 The whole team around the villa has been more than attentive and helpful before arrival and also during our stay. Maria took utmost care of us and responded to all our requests promptly including dinner bookings. 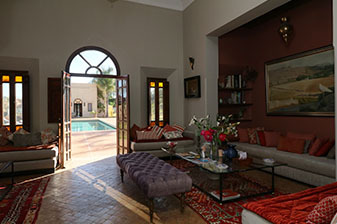 I can warmly recommend to stay at Villa Dar Cherif & may be back soon. We would like to express our warmest thank you! 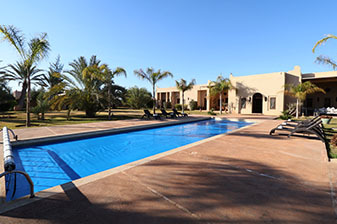 Maria - manager of the house and the staff have shown great hospitality, where atmosphere of the house, was very calm with feeling as if you are at home. Bespoke interior design throughout the house, starting with details such as towels, bed linen and to dishes and cutlery have definitely created the feeling of a luxury hotel yet with a homey comfort touch. The staff have been immaculate in their service, always quite and available when needed providing what has been asked for. 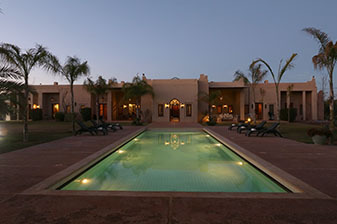 Separately to mention that the true Moroccan cuisine we have tried at most variety and deliciousness at the villa Dar Cherif, which was prepared according to our requests and with love. 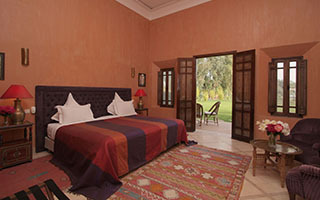 We highly recommend to all the travelers to stay at this amazing house, which is located in a very convenient proximity to the Marrakesh city center, and will be definitely coming back again in the future!